Sydney Socias was born & raised in Vancouver, BC where she now lives with her husband Roberto and puppy Xavi [cha-vee]. She started her blog as a university requirement, later rebranding to TheWorkingGirl.ca (while working a job she didn’t love) as a way to digitally showcase her work for potential future opportunities down the line. What she didn’t realize then was that this platform would grow into so much more. After two years of juggling a 9-5 Agency job, she took a massive leap of faith, started blogging full-time and got busy creating the life she’d always wanted. Today her blog is dedicated to sharing personal experiences, everyday style + beauty, product recommendations, quick/easy recipes & simple ways to refresh your space, all with a realistic and attainable approach anyone can follow. Sydney believes firmly that you can build a life to be proud of without having to go overboard or over budget. 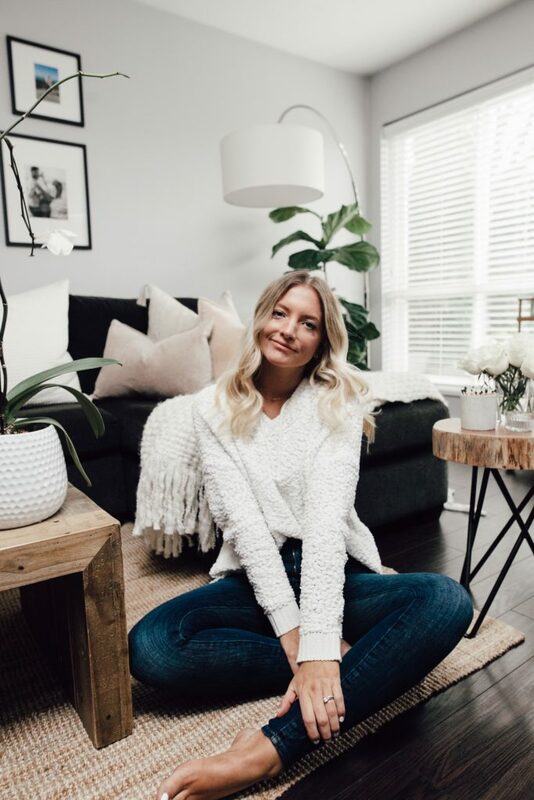 Sydney remains the sole creator and editor of her blog in an effort to provide value to her readers through authentic content that is true to her lifestyle. Despite what Instagram may look like, life isn’t perfect – Life is a work in progress. So the promise I made to myself was to work every day to become the very best version of myself, creating my own lane and career doing what makes my heart feel most full. Here you can expect to find my personal and realistic approach to my life, outfits I wear, products I love, shopping guides [to the best sales all year], recipes and home decor solutions. I believe whole-heartedly in providing my readers with real-life, relatable experiences sharing my take on how I pull in more of the ‘good stuff’ without going overboard or over budget. Most of my photos on Instagram (that I am not in), I have taken using my iPhone but (if I’m in the photo) my photographer uses a Canon 5D Mark II. Melissa Skoda is my Lead of photography for any partnerships or sponsored campaigns. Otherwise I’ll have my hubby, strangers … basically anyone ready, willing and standing by to take my photo. No shame. Brush Salon is in charge of my hair.